Disability Services Office (ADA) - The Disability Services Office provides assistance to applicants and currently enrolled students with documented disabilities including physical, psychological, Attention Deficit Hyperactivity Disorders (ADHD), traumatic head injuries, learning disabilities (LD) and other health concerns. The Disability Services Office is located on the first floor of the Patterson Building in Student Development. For information about the services available to students with disabilities, please contact the Coordinator of Special Services whose telephone number and email address may be found on the College’s website under Student Resources, Counseling. Confidentiality - The College will not share specific information about your disability with anyone, including faculty, without your permission. This is the law and ethical counseling practice. Each student is asked to sign a release that allows the Disability Services Office to exchange information regarding your disability as needed to provide appropriate educational services. A student has the right not to disclose specific information about his or her disability to instructors. However, the Disability Services Office encourages students to talk to their instructors about their disability when it is appropriate. Information disclosed to the faculty by the student or the Disability Services Office will not be disclosed to any other individual without the student’s approval. A Consent to Release Disability Information form must be completed and mailed or faxed to the address listed on the document. This document may be downloaded from this site, or a form may be received by mail by contacting the Disability Services Office. 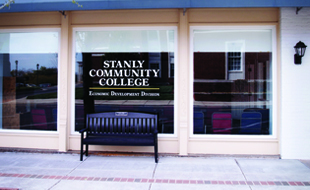 Admission to Stanly Community College - Persons with disabilities apply and are considered for admission in the same manner as any other applicant. There is no preadmission inquiry regarding disability and no exception to admission policy is made based on any disability. Qualifying for Disability Support Services - Students with disabilities must contact the Coordinator of Special Services to initiate receipt of services. Students with disabilities must provide appropriate documentation before accommodations can be provided. It is the responsibility of the student to ensure that the documentation is current, comprehensive, and provided in time for Stanly Community College to arrange for reasonable accommodations. Students should request accommodations at least 60 days prior to the need for the accommodation. In the case of a physical disability, documentation should include a doctor's diagnostic statement, which describes the disability, its duration, and the effect on daily living, a list of medications prescribed, side effects, and recommendations. Psychological documentation from a certified psychiatrist or clinical psychologist should include a DSM IV diagnosis with a description of how the disability affects major life activities, along with medications, side effects, and recommendations. The evaluation must have been performed within the last three years. For students with learning disabilities, documentation should include a written report of a psychoeducational evaluation completed within the last three years. The report should include scores from standardized academic and intellectual testing, plus a statement specifying areas of learning disabilities. Stanly Community College adheres to the guidelines established by the Association of Higher Education and Disability (AHEAD) to document a learning disability. Students can find those guidelines at http://www.ahead.ie/ or may receive a printed copy from the Disability Services Office. For an Attention Deficit Disorder, documentation should be a statement written within the past year and include information regarding diagnosis, medication, and any recommendations. 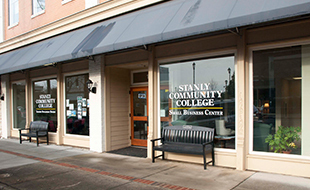 Stanly Community College generally adheres to the guidelines established by the Educational Testing Service to document Attention Deficit Disorder (ADD) or Attention Deficit Hyperactivity Disorder (ADHD). Students can find those guidelines at http://www.ets.org/disabilities/ or may receive a printed copy from the Disability Services Office. Please note that the general guidelines published by ETS have been adapted to address the needs of college students. Services and Accommodations - Services and accommodations are provided as a cooperative effort of the Disability Services Office and various College departments. 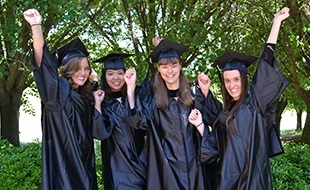 Services are based on the student's documented needs and determined in consultation with the Disability Services Office, appropriate faculty, and the student. Services and accommodations are under constant review and may be modified or developed to meet the changing needs of students. A new accommodation plan for the student will be developed every semester; therefore, it is extremely important that the student contact the Disability Services Office after registering or preregistering for classes. Academic Support: The Student Success Center, located in the Webb Student Center, provides an extensive array of academic support services. These services include faculty working individually with students, tutorial software, and peer tutoring. Counseling: Personal counseling and career counseling are available through Student Development. Equipment: Equipment to assist students who have visual, hearing, or learning disabilities may be available. Please contact the Disability Services Office for further information. Note taking: The Disability Services Office can arrange for note taking services. Parking: Students who are temporarily disabled or physically challenged and who require a special Handicapped Parking Permit should see Campus Police. Permits are assigned on a temporary basis. Individuals with permanent disabilities are required to contact the North Carolina Division of Motor Vehicles for a permanent tag or rear mirror sign. Priority scheduling: Early registration is available to students whose disability warrants the need for specific accommodations related to courses or classrooms, such as wheelchair access, time coordination, interpreters, or books on tape. Contact the Disability Services Office for further information. Reading services: Students may acquire books on tape from the Recordings for the Blind and Dyslexic (RFBD) at http://www.learningally.org/. Applications are available at the Disability Services Office. Taping of lectures: Students may tape lectures given in class. Recorders may be borrowed from the Disability Services Office based on availability. Test accommodations: Extended time and distraction-free testing rooms are among the accommodations that can be arranged through the Disability Services Office. Tutors: Students are provided information regarding campus tutorials and labs. Individual tutors, when available, are provided for students whose disability affects their academic performance. Other accommodations can be provided when the student submits appropriate supporting documentation.